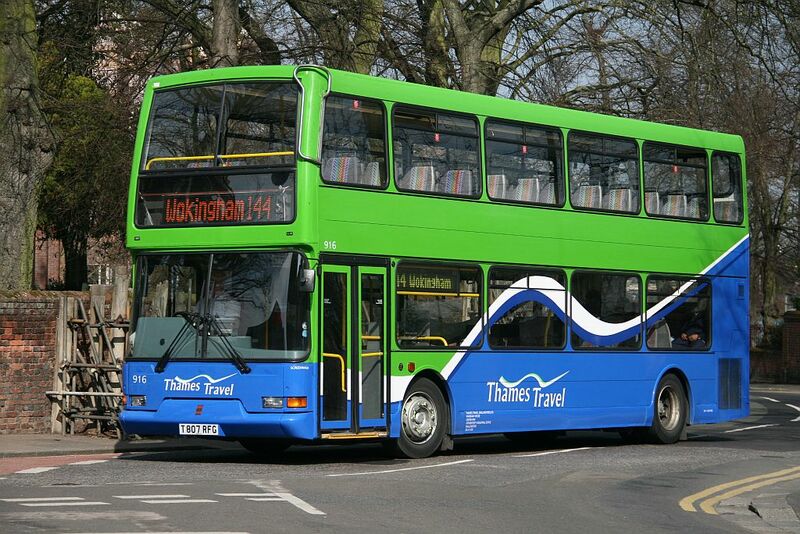 Welcome to BusZone's unofficial page about Thames Travel. Their official website is at www.thames-travel.co.uk. 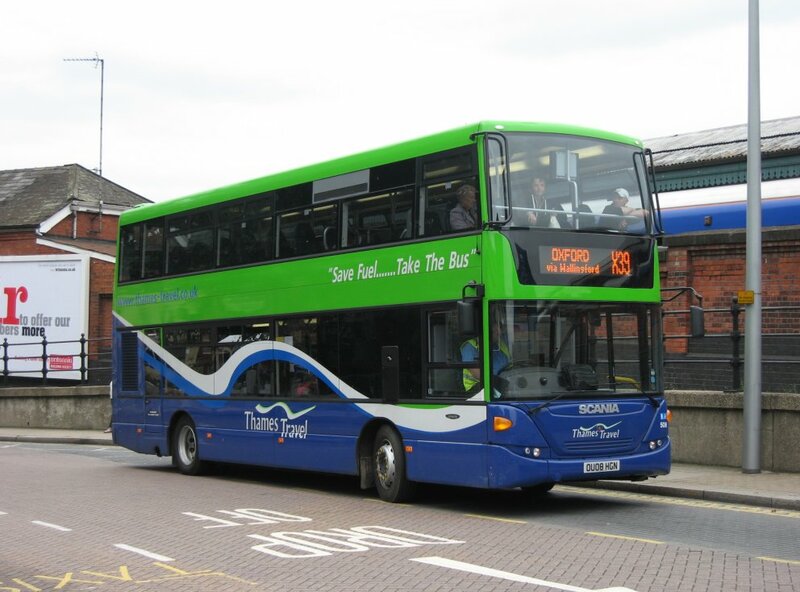 Thames Travel operate a number of bus services around their central hub of Wallingford. They also have a sub-depot in Bracknell and outstations at Finchampstead and Wantage. 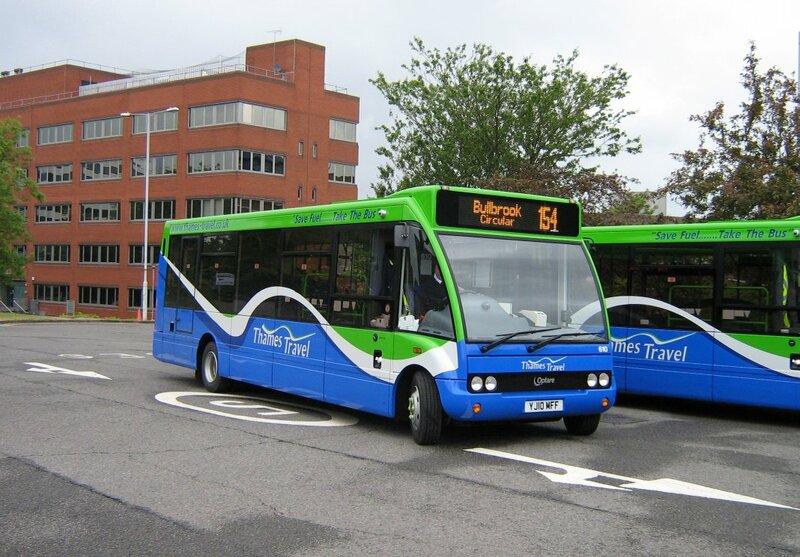 The company was set up on 14th April 1998 and rapidly became the third largest operator in Oxfordshire, operating mainly rural services and ones contracted by Oxfordshire County Council. They were taken over by the Go Ahead group on 25th April 2011. 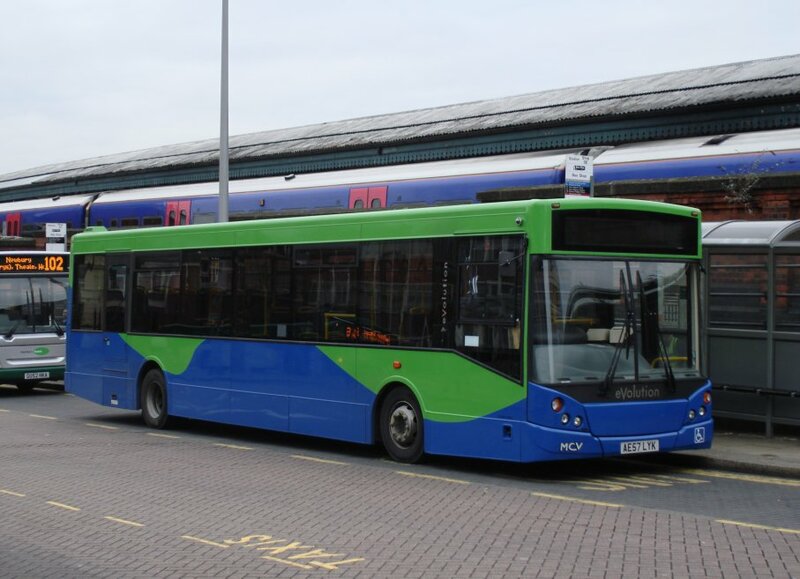 Of their routes which come into Reading, most have picked up from where other operators have left off. 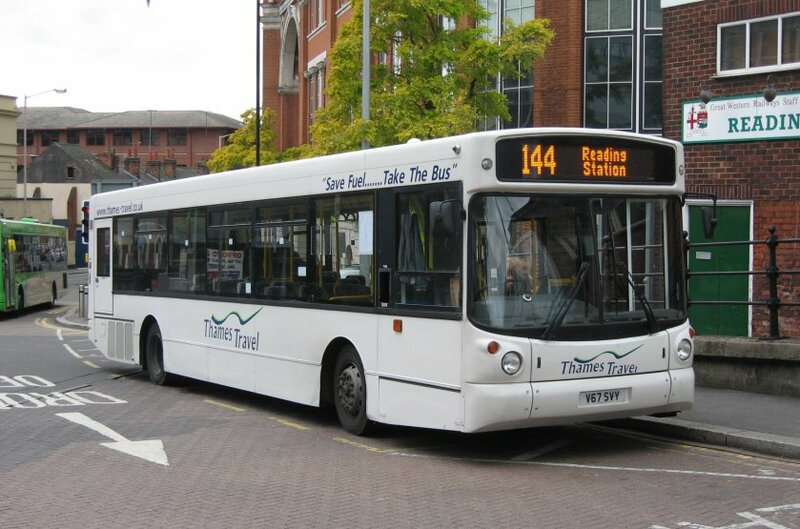 Service 132 gradually replaced Reading Buses' routes 105 and 106 which were deemed unprofitable, the 144 was won under contract from Wokingham District Council after Tillingbourne went bust, and the 140/2 were taken over with the whole of Chiltern Buses stage carriage operations on 4th August 2002. 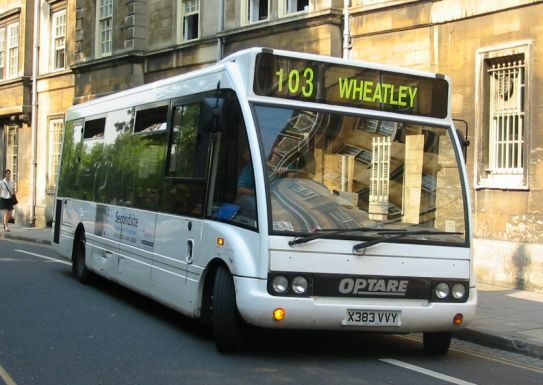 Similarly in Oxford Stagecoach had difficulty operating routes X39 and 105 which were taken on by Thames Travel in 1999 and 2nd September 2001 respectively. Over time the frequencies on each of these routes have been reorganised and amended, evolving to create a core link from Reading to Oxford via Wallingford. 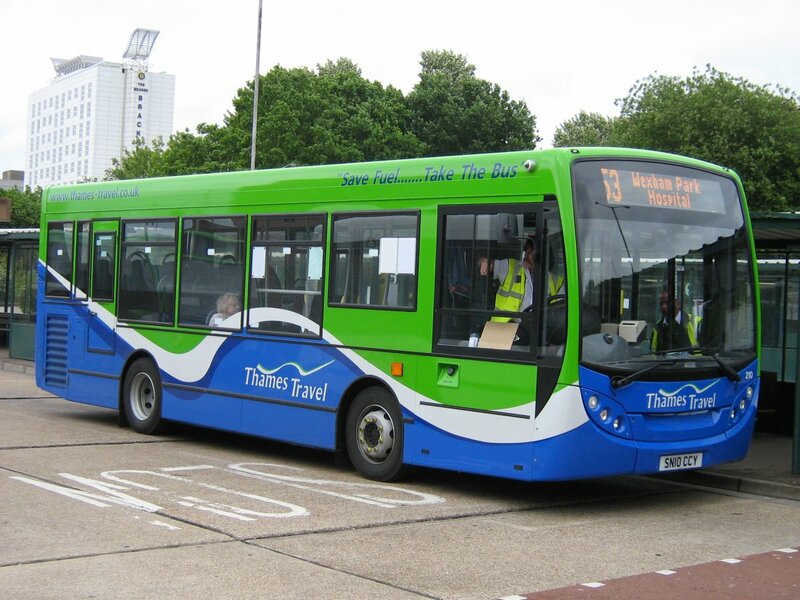 A new sub-depot was established in Bracknell from Saturday 29th May 2010 following a number of tender wins from Bracknell Forest Council, but all of the contracts were lost again by 12th January 2014. 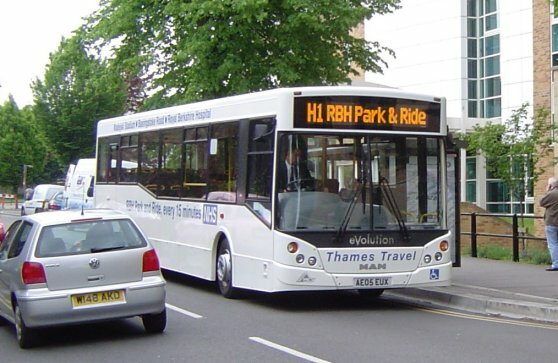 With the take-over by Go-Ahead in 2011 a second core corridor was gradually established between Oxford, Milton Park and Didcot by merging Oxford Bus Company commercial services with Thames Travel tenders. 510 outside Bracknell sub depot on 29th May 2010. Thanks to Geoff Lovejoy for this photo. 610 in service on route 154 at Bracknell Bus Station on 29th May 2010. Thanks to Geoff Lovejoy for this photo. 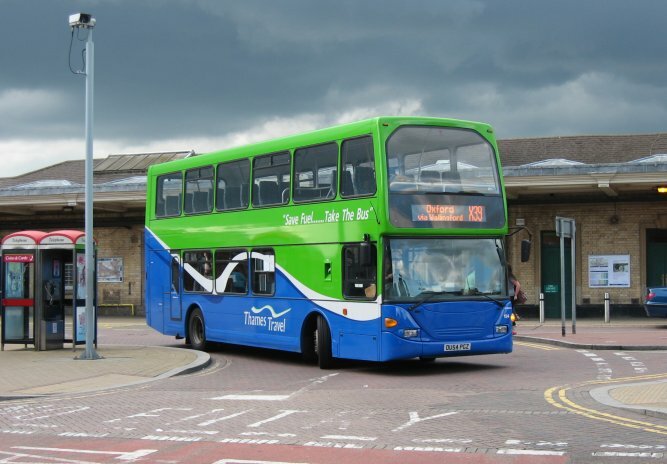 A batch of five Alexander Dennis Enviro 200 Darts were added in the fleet in late 2007. 257 is seen at Reading Station on 15th December 2007. 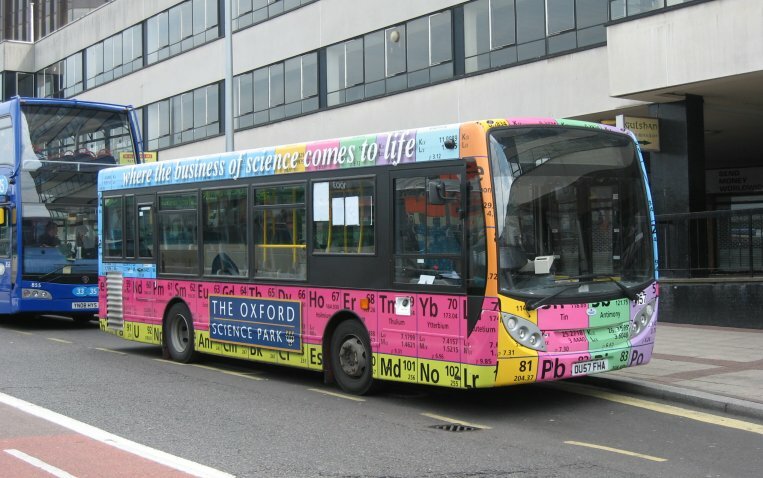 157 was painted into this special livery for Oxford Science Park in May 2008, primarily for route 105/106. It is seen here in Reading on 31st May 2008. 210 at Bracknell Bus Station on 29th May 2010. Thanks to Geoff Lovejoy for this photo. MAN / MCV Stirling AF53 EUV was acquired from DeCourcey Travel in April 2009, and is seen at Reading Station on 20th of that month. 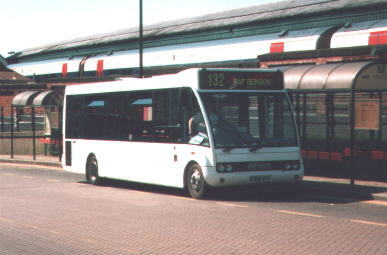 MAN 14.220 / MCV Evolution 105 at the RBH on it's first day in service on 16th May 2005. 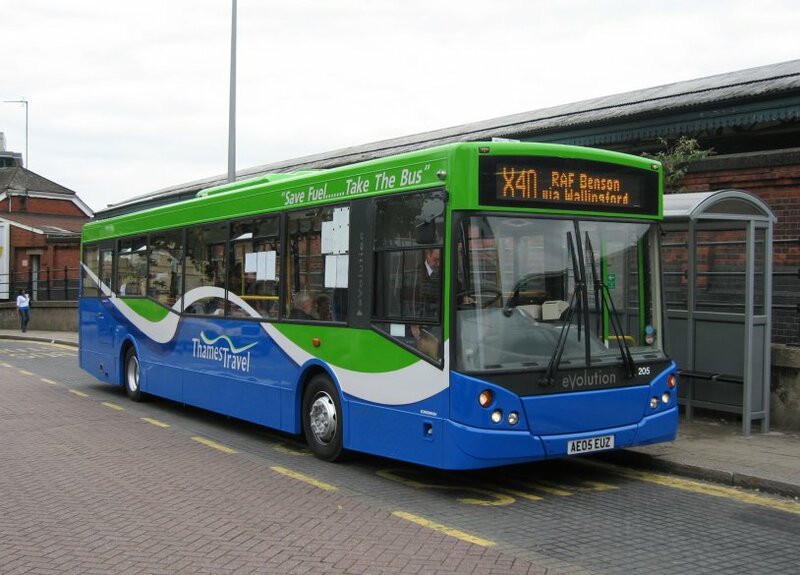 The contract ended on 29th November 2008 and the bus was repainted into Save Fuel livery. Thanks to Stephen Wise for this photo. Sister 205 at Reading Station on 1st September 2007. 205 originally entered service with 105 on the H1, but was cascaded to the normal fleet in May 2007 following a service reduction, and was repainted into Save Fuel livery during August 2007. Dennis Dart SLF / MCV Evolution 256 at Reading Station on 5th February 2007. This is one of two vehicles added to the fleet during January 2007. AE57 LYK at Reading Station on 31st December 2007. This is one of ten vehicles added to the fleet in December 2007 / January 2008. Thanks to James Cusworth for this photo. 106 in St. Aldates, Oxford on 5th June 2006 not many days after entering service. 206 on the opposite side of St. Aldates, Oxford on 17th July 2006 soon after receiving the finishing touches to its livery. 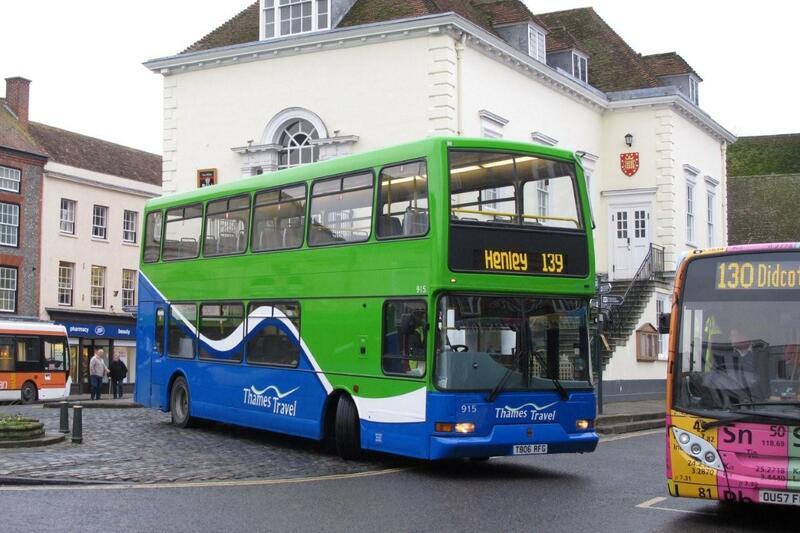 Former Brighton & Hove Dennis Trident 915 in Wallingford Market Place on 25th January 2012. Thanks to Graham Low for this photo. Similar 916 in Forbury Road on 21st March 2012. Thanks to Peter Coney for this photo. Scania OmniDekka 154 laying over at Oxford Station on 18th August 2005. 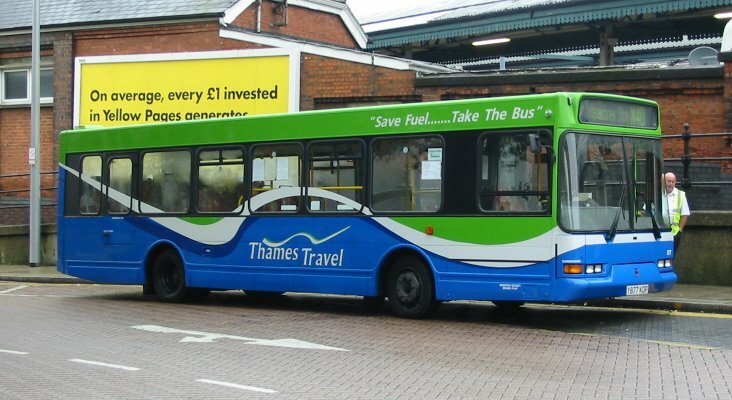 Following the loss of the contract for Abingdon College route X15 in June 2007, 154 was repainted into 'Save Fuel' livery for use on routes X39 and X40 which were combined between Reading and Oxford from the same date. It is seen here departing Reading Station on 23rd June 2007. One of three Scania OmniCity Double Deckers acquired in 2008, 508 is seen at Reading Station on 26th August 2008. 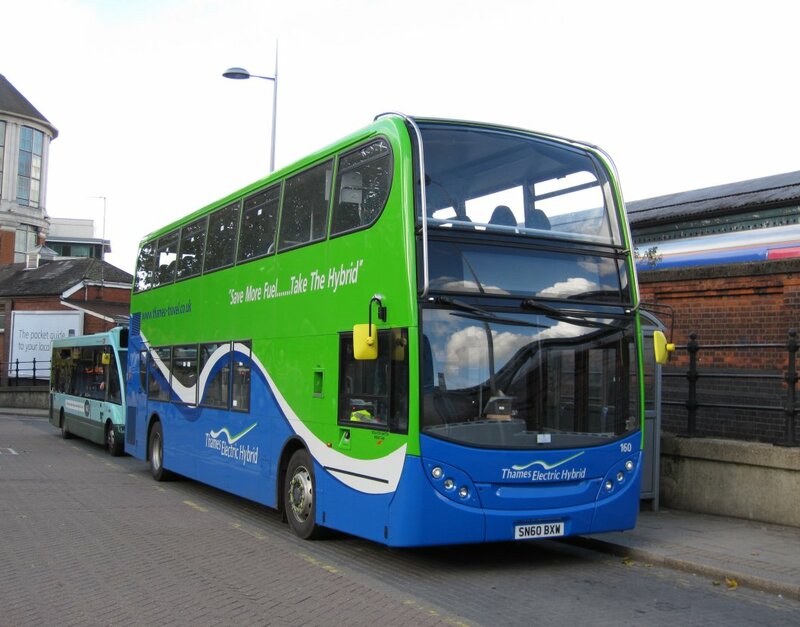 Alexander Dennis Enviro 400H was acquired with funding from the government's Green Bus Fund to cover the difference in price between low carbon and standard diesel buses. It is seen at Reading Station on 30th October 2010 with suitably amended branding. Mercedes Taxibus BX02 CMF at the terminus of route TB103 in Stadhampton on 11th December 2002. Mercedes Benz Vario / Plaxton Beaver 2 V254 BNV at Didcot Parkway Station on 11th December 2001. Mercedes Benz Vario / Plaxton Beaver 2 V399 SVV at St.Aldates in Oxford on 11th December 2001. This bus wears special branding for the company's express service X39 from Oxford to Wallingford. 305, a Mercedes-Benz Sprinter 616CDi taking a break at Oxford Rail Station on 6th June 2005. For more information on this vehicle see the News Page for June 2005. 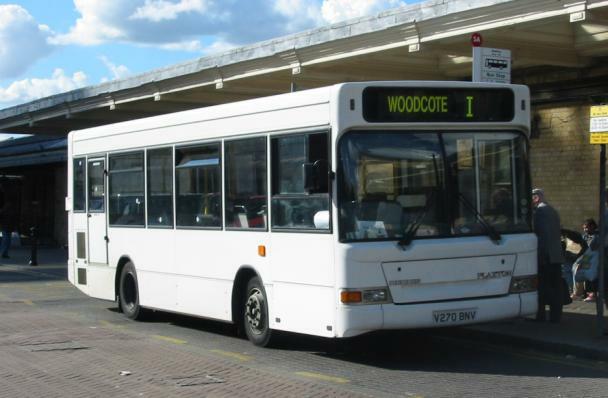 This is Optare Solo X249 VWR waiting to depart on the former Tillingbourne route 144 to Wokingham on 12th May 2001. 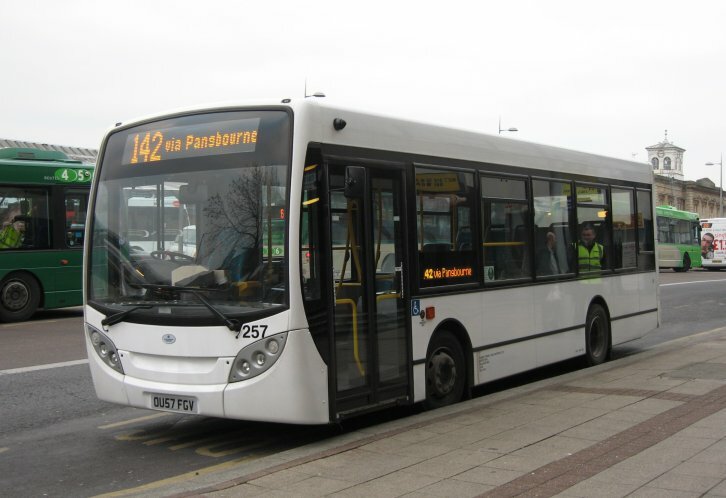 This is Optare Solo X249 VWR again in it's current Thames Train livery for use on service 132. 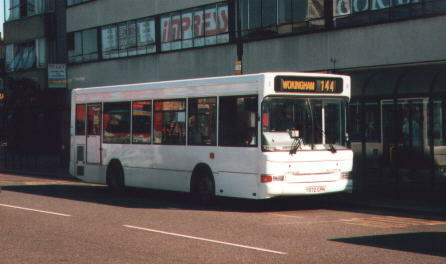 It is seen here on 22nd December 2001 about to depart for Wokingham on service 144 which at the time was interworked with route 132. Optare Solo X383 VVY operating Oxfordshire County Council tendered route 103 in Oxford on 16th June 2003. This is X385 VVY an Optare Solo at Reading Station ready to depart on the 132 to RAF Benson on 12th May 2001. This is Marshall bodied Dennis Dart M501 VJO in Oxford on 11th December 2001. 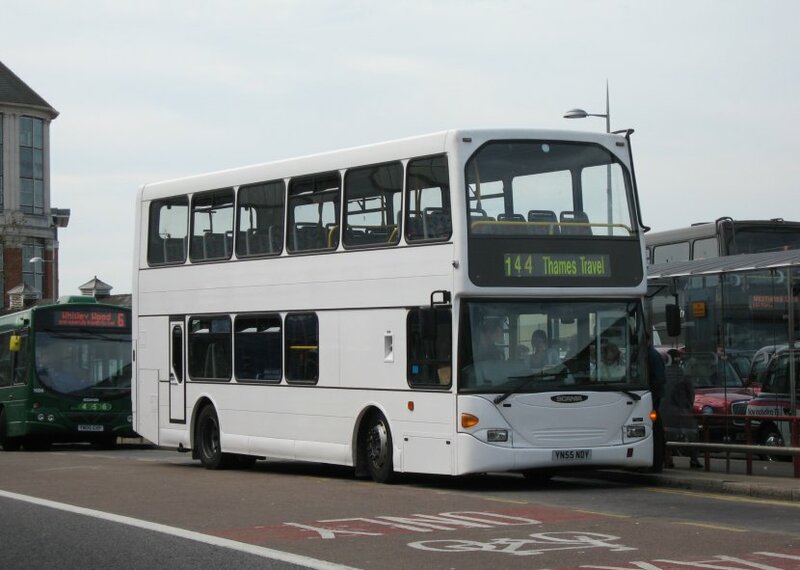 This bus and it's sister M509 VJO were loaned to the company by the Oxford Bus Company for three months during 2001 to operate newly acquired service 105 from Oxford to Wallingford, after which time 501 was bought outright and 509 was returned. 501 is now white all-over. The Dart suffered severe frontal damage in an accident during 2002 and so received a more modern Marshall Capital front end. It is seen at Reading Station on 30th June 2003. 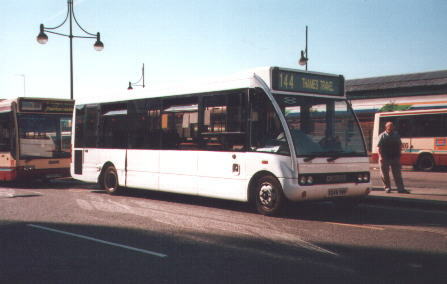 V270 BNV operating former Chiltern Queens route I on 10th September 2002. This is Dennis Part / Plaxton Pointer 2 Y972 GPN at Reading Station waiting time before a departure on the 144. 156 on route 129 at Reading Station on 6th November 2008. Alexander Dennis Mini Pointer Dart 606 at Reading Station on route 142 on 14th July 2006. The LED displays did not photograph well in strong evening sunlight. 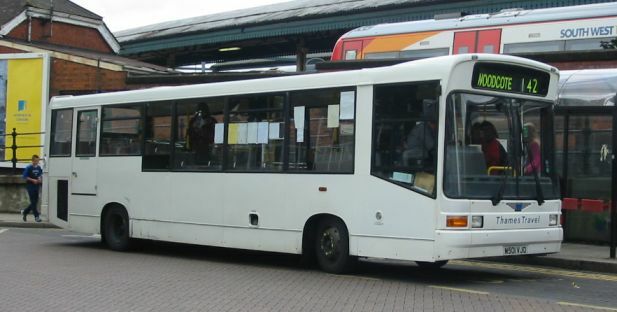 This East Lancs Flyte Y313 KDP was purchased on 4th August 2002 from Chiltern Queens along with most of Chiltern Queens stage carriage services. It is seen here whilst still with its former owner, leaving Reading Station for Wallingford on 12th May 2001. 833 was the second vehicle in the fleet to receive the blue and green fleet livery, and is seen here a few months later at Reading Station on 27th May 2006. This is Dennis Dart / Wright Crusader R531 TRP in Oxford on 11th December 2001. Volvo B10BLE / Alexander ALX 300 67 at Reading Station on 25th October 2008. This is 151, a Dennis Dart / Plaxton Pointer 2, registration KP51 UFK in Reading on 18th February 2002. 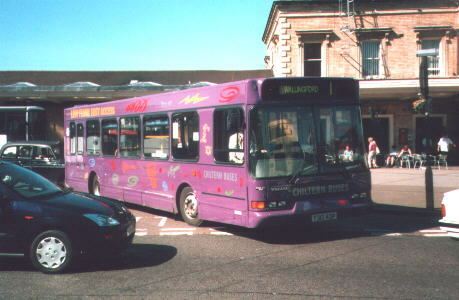 This bus was one of 6 new buses delivered in January 2002. 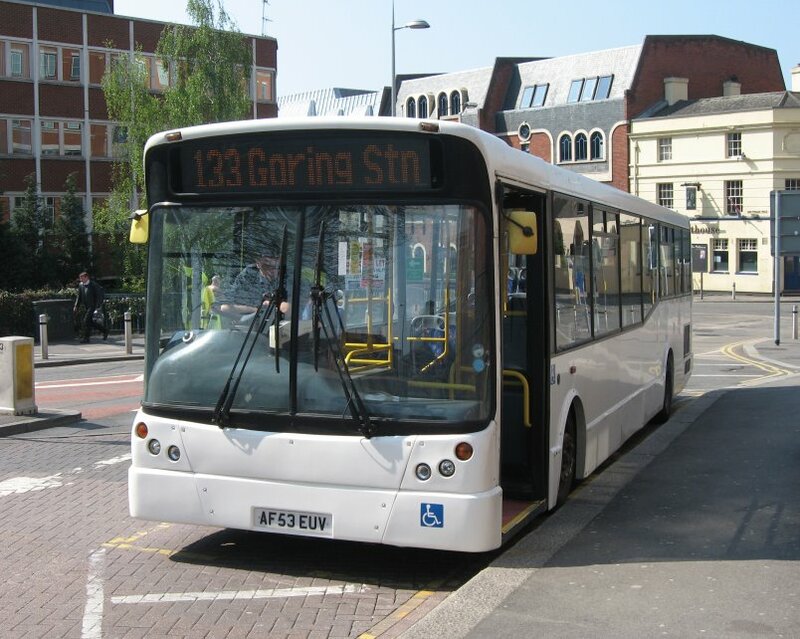 They are the first buses in the fleet to be allocated fleet numbers, a move that was made necessary by the new registration plate system not allowing each bus to be identified solely by the number on the plate. Dennis Dart SLF / MCV Evolution 155 on route X40 at Reading Station on 6th March 2006. This vehicle was destroyed by fire following an accident near Woodcote on 30th June 2006. 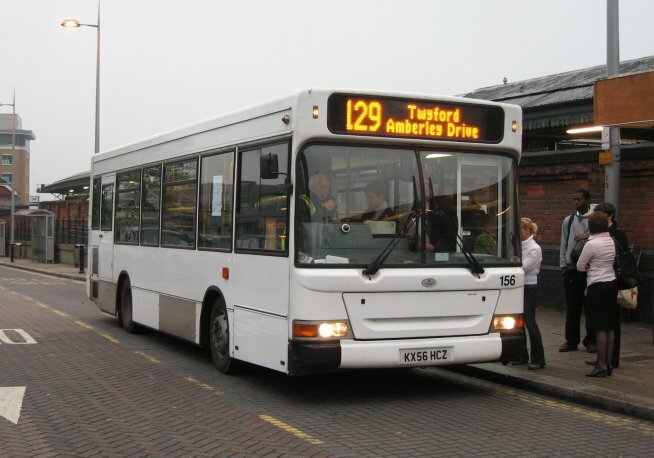 Leyland Olympian 208 was purchased from the Oxford Bus Company primarily for schools work, however it also appeared on other routes at certain times of the day. 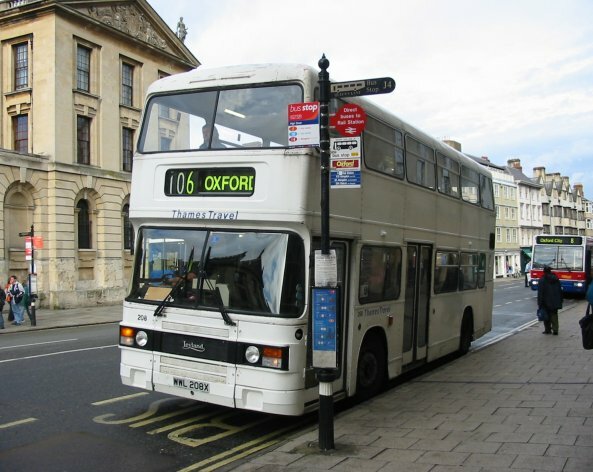 It is seen here early in the evening of 24th August 2005 arriving in Oxford on route 106. YN55 NDY spent a short period on loan from Blue Bus rentals pending the arrival of Scania OmniCity Double Deckers 408/508/608. 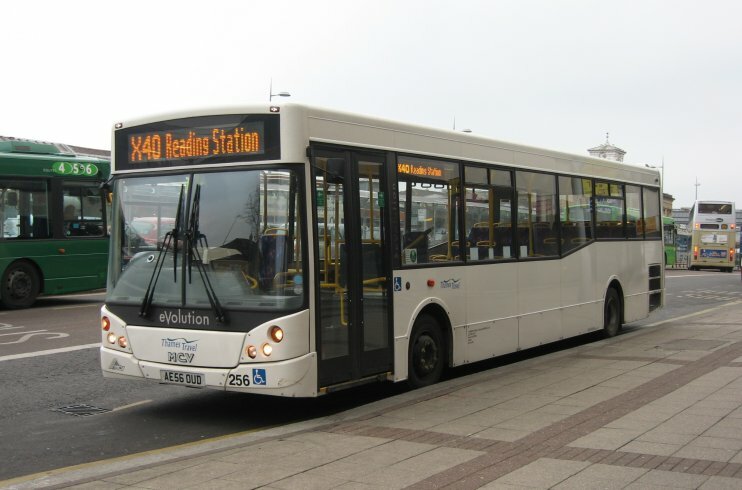 Here it is preparing to depart on route 144 on 26th April 2008.